I have one computer that while rotating any assembly, parts will either disappear or show as like a white checker box. Its a new computer build using the same hardware as many others in the department, so I can't think of anything hardware that might be the issue... it very well might be though. Anyone have any ideas of what I could try? That kind of looks like the level of detail option in the config which only comes in to play when spinning the model. Is the new system running the same configuration files as the other systems? Forgot to mention... Has occurred with the last 3 releases of Creo 3.0 we've used M060, M090, and M100. Is this a setting for performance issues? You set it to a lower percentage if you have a lower performance machine??? I've always assumed it was to allow for quicker spinning. I have never liked it. 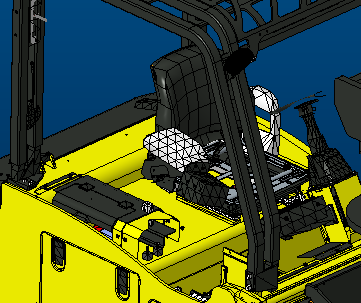 Maybe I've always had more than adequate computers but spinning 3d models have never been a major problem...now large assembly drawings...that needs a lot of help. Don't forget to mark a correct answer so others searching for resolution to similar problems may find a solution quicker. With LOD set, you will notice when your zoom level is close to the model the LOD is not active. As you zoom out, it turns on again. 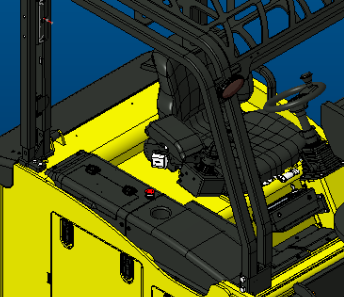 I am not sure at what zoom level this switches, but it is helpful while spinning a model with 8000 plus objects.